Torino, what a vibrant city! My very interesting future research; Mitigating Urban Heat Island via Green Roofs! 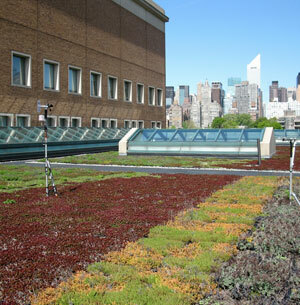 A new green roof project organized by Columbia University and New York power company Con Edison adds to a growing body of research that demonstrate green roofs reduce the urban heat island effect. Using Con Edison’s training center in Long Island City, Queens, the researchers found that a layer of roof-friendly soils and plants reduce the rate of heat absorption by 84 percent in the summer, bringing down building cooling energy costs as a result. The urban heat island effect refers to localized urban warming caused by lots of paved, dark-surfaced rooftops, streets, and parking lots. Given much of any city is covered in these low-albedo surfaces, cities can experience temperatures significantly higher than nearby green areas. Just in New York City, say Columbia researchers, perhaps “two-thirds of New York’s localized warming over the last century” is due to surfaces like conventional black rooftops, which absorb and then re-radiate light from the sun as heat. 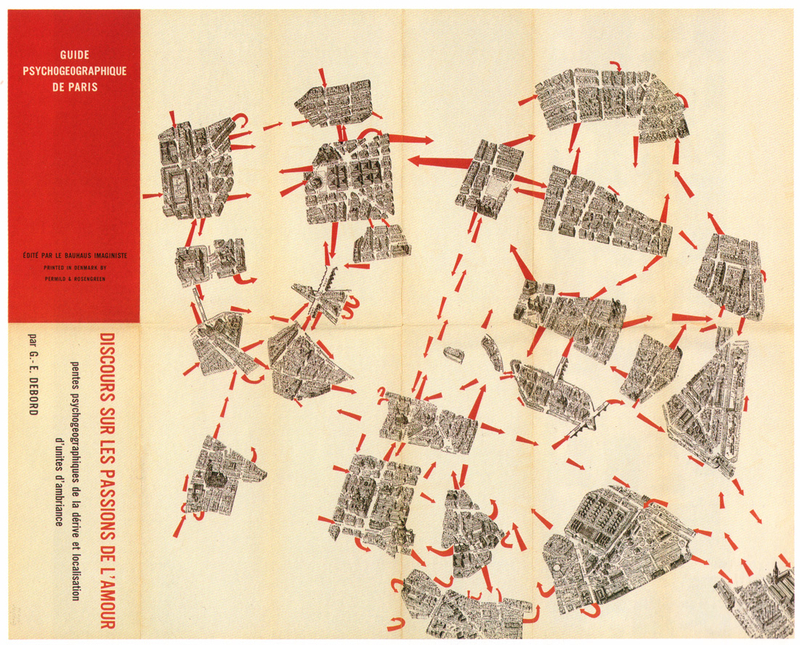 Psychogeography, A Profound Perception of Urban Environment! Primary definitions and the story behind this concept! Take a look at these blogs too! 2- An exercise for Psychogeography! Behind the Scene of a Competition! /DEFIGN/ in collaboration with MOAZOM! 15 Lessons for a Sustainable Neighborhood Design! More than 40 years ago, Hans Hollein collaged the image of a warship into the natural landscape, suggesting a radical discontinuity between nature and technology. Today his vision can be seen as an anticipation of the present environmental impasse, or alternatively, as a starting point to rethink the relationship between nature and culture under the new domain of contemporary ecological theories. What Tschumi Has for Architecture! – Architecture is not sculpture, what happens in it is architecture; the movement of bodies! – The “Context” is as important as the “Content”! – [There is a] mosque made with mud, every year after the rain inhabitants have to redo some parts of it, [this is where] architecture becomes a social act! – The movement of the body in space is like a knife cutting the butter! 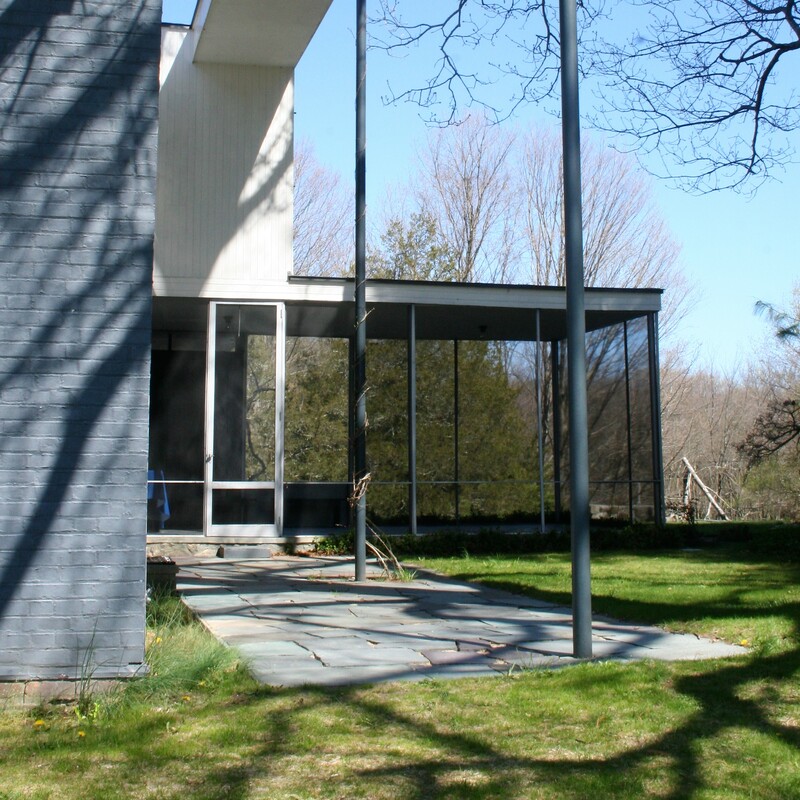 – Frank Lloyd Wright uses the typology of a garage as a museum! – Transprogramming in architecture, [where] a “church” becomes a “pizzeria” or a “track” goes through a “library”! – “Envelope” [is where there is] no distinction between “roof” and “facade”! – Discourse of “envelopes” may have been started by [Buckminster Fuller’s Pavilion of Canada]! -Notion of materiality! [Where a common concept made with various materials]! 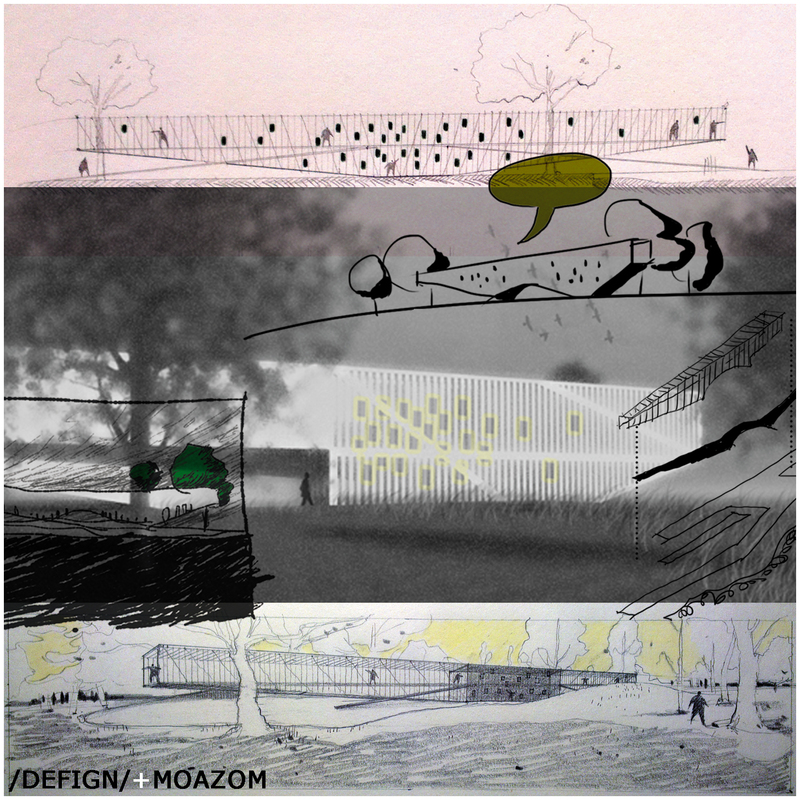 [so] “materialization” of a concept becomes fantastically important! – “Context is funny for architects!”, new Acropolis Museum is nothing but context! – Cultural context, historical context, political context, local context, archeological context, are nothing but “constraints”! MOVEMENT/ENVELOPE/CONTEXT/CONCEPT/CONTENT/MATERIALIZATION/ and finally the RED color! Tags: architecture, Bernard Tschumi, Red is not a Color!